A 16-year old male is in custody after he allegedly made terrorist threats against a Stockton, California school. 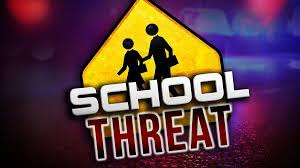 According to Stockton Police, officers responded to the Venture Academy on the 2800 block of Transworld Drive to meet with school staff regarding an anonymous email threat. The email stated that one of their students wanted to "shoot up the school." The information about the threat came from a social media posting and police contacted the suspect and his parents. After questioning, the student was taken into custody without incident and charged with making terrorist threats. A search of the suspect's residence did not reveal any firearms. Police did not release specific details of the alleged threat.